Unit is clean inside and out - it is evident this RC has been well cared for and no reported deficiencies from current owner. The front cockpit seats are made for comfort and in excellent shape. The inside is free of odor and ready for you to pack her up and hit the road. ******** Brand New Front TIRES as of 6/1/2016 Stock #101386 LOADED WITH POPULAR FEATURES AND FLOOR PLAN - READY FOR THE ROAD! 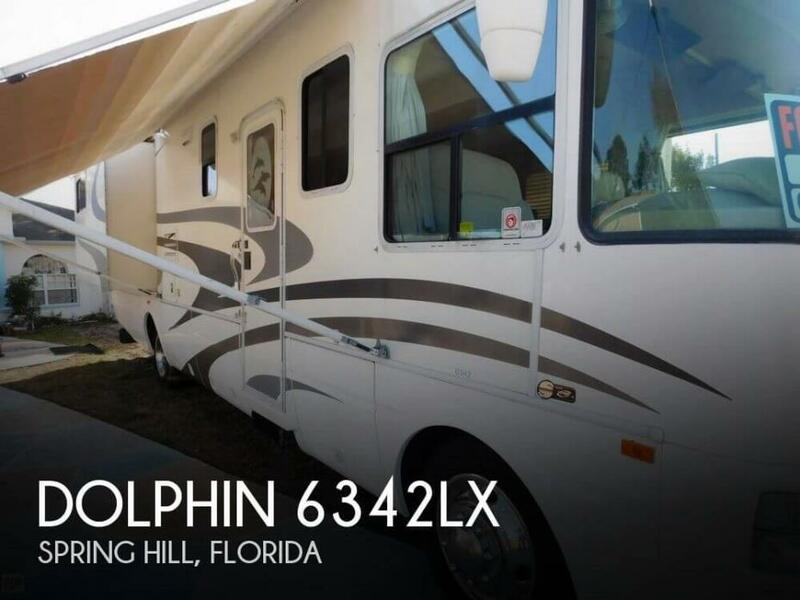 If you are in the market for a class a, look no further than this 2002 Dolphin 6342LX, just reduced to $27,500. This Class A is located in Spring Hill, Florida and is in great condition. She is also equipped with a General Motors engine that has 49,100 miles (as of January 28). Reason for selling is no longer using. The owner of this RV indicates that the dash air needs servicing and he will have it fixed. He was previously in the RV service business so has kept the coach up himself with all systems functioning properly, and tires are healthy. Stock #119363 Model 6342 Dolphin LX full body paint; sleeps 6; basement air. Unit is in beautiful condition. All amenities! 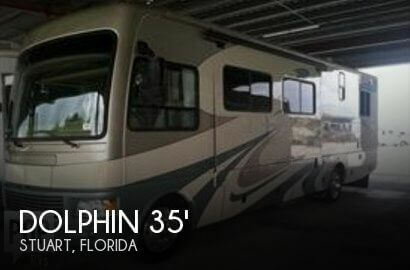 If you are in the market for a class a, look no further than this 2007 Dolphin Dolphin 6342 LX, just reduced to $54,900. This Class A is located in Stuart, Florida and is in great condition. She is also equipped with a Ford engine that has 31,200 miles.